Travel to Magnesia!The Prefecture of Magnesia, having a central geographical position in Greece and being almost equal in distance from the two major urban centers of Athens and Thessaloniki, constitutes a very important junction. 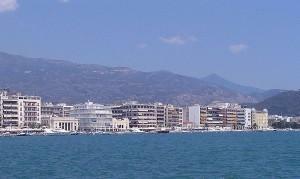 In addition, having one of the most significant harbors of Greece, the Volos harbor, it has a well developed system of sea transport and a high level of communication infrastructure within the sectors of transports and energy.The urban center includes the municipalities of Volos, Nea Ionia and Iolkos, plus other smaller areas, and it has a population of about 150,000. The city of Volos and the wider area have been developed as manufacturing and industrial centers, especially within the last three decades. The economy of the city is based on the industrial sector, commercial businesses, tourism, and services.This Prefecture forms the easternmost part of Thessaly and ends up with superb beaches along the Aegean Sea. Generally unknown to the international tourist (with the exception of its capital city, Volos), it is a hideout for most of the Greek Culture and Arts world. Mt Pelion, with its picturesque villages full with aesthetic surprises, is where ancient Greeks had placed the Centaurs’ dwelling.Magnesia, crowned by superb Pelion, probably owes its name to the Magnetes tribe, who led by Magnes -son of Aiolos- inhabited the area in prehistoric times. Travelers, however, who may find themselves taken unawares, carried away by so much beauty, may find another derivation of the word, as they find themselves "magnetized" by the place.There are further mountains in Magnesia: Orthris, Tisaion, Mavrovouni, together with Pelion take up most of the prefecture’s surface. A large number of plant species cover their densely forested slopes, some of them with aromatic or therapeutic properties, subject to small scale exploitation by a number of small businesses based in the villages in the line of producing curative compounds and the preparation of homemade remedies, perfumes, flavored oils and cosmetics, plus homemade sweets. The combination of forest and sea environment provides an ideal Mediterranean climate, i.e. mild winters and cool summers.